Brought to you by SuperValu. 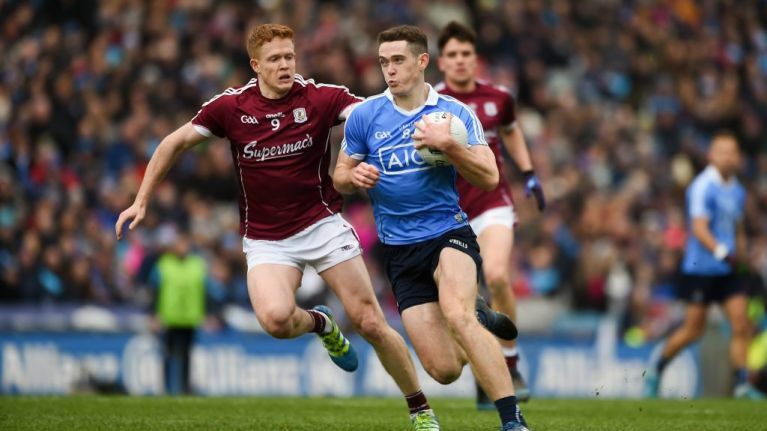 After comfortably topping their group in the maiden season of the Super 8s, Dublin face a Galway side looking for their first Senior All-Ireland since 2001. With Croke Park likely to be packed with supporters from both sides, tickets won't be easy to come by. Thanks to the good people of SuperValu, we're giving you and a friend the chance to be at the heart of the action. Just answer the question below to enter, and we'll contact the lucky winner. For the ninth year in a row, SuperValu is supporting local clubs and promoting family fitness with its “Behind the Ball” campaign. It will be giving out 55,000 footballs to clubs as part of this year’s campaign. SuperValu stores throughout Ireland will be giving shoppers the chance to collect the official #BehindTheBall tokens for nine weeks and use them to help your local club. It is also encouraging families and children to get more active with its Take Ten initiative as part of their mission to tackle childhood obesity. That’s why it has teamed up with GAA stars to create "Take Ten" fitness videos that are designed to encourage families to do 10-minute bursts of exercise together. SuperValu, the official sponsor of the GAA Football Championship, has launched #BehindTheBall 2018. Click here to find out more about this year’s #BehindTheBall campaign.